The Exchange Club of East Dallas proudly leads the annual Lakewood Fourth of July Parade, handing out thousands of flags to kids, as we walk the parade route seeking to instill in them the pride in our country all of our members share. 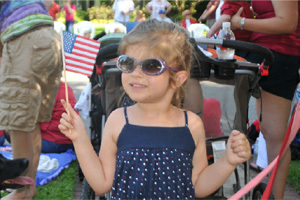 The Lakewood 4th of July Parade has a long and rich tradition. The first parade consisted of the two children riding their bikes for about 2 houses on the sidewalk in 1964. The idea grew from that point into a block party and parade for the families living on two blocks of Lakewood Blvd. It expanded from that point to include several streets and more of the neighborhood. 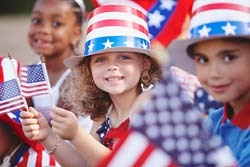 Today, the Lakwood 4th of July Parade is widely known for its tradition and values. The parade continues today with the purpose unchanged in 48 years. “To have a neighborhood parade for the kids of all ages”. 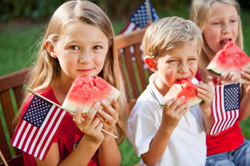 This was done so that the families can help teach their children about patriotism and why we celebrate our freedom on the 4th of July.